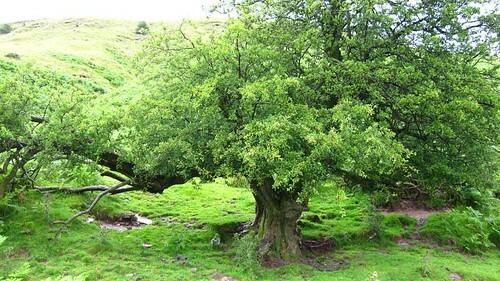 Here we will be compiling information on trees and their uses, both practical and mythological. The profiles will grow as we find out more, becoming more useful as we go. The cauliflower fungus or wood cauliflower as it is otherwise known is a very intriguing looking fungus that we first found whilst walking through the new forest in the month of October. It is very easy to see why it came to be called after the cauliflower with a large white florette made up of thin, wavy clusters of flesh, roughly 10-50cm in diameter. When young it has a clean white/cream, moist appearance, which yellows, dries and stiffens with age. It has a slight cheese aroma. We found this to be one of the very best mushrooms we have eaten, if a little difficult to clean sometimes as dirt and pine needles become trapped in the flesh of the fungus. This fungus appears mostly in northern Europe and is fairly common where conditions are favourable. It is usually found in prime season, September to November. One of the finest tasting mushrooms there is, a wonderful treat. Cauliflower fungus is fairly distinctive, but those who have not yet met this fungus could possibly confuse it with the zoned rosette or the rosso coral. To ease hayfever in the summertime, make tea with elderflowers, fresh nettles, plantain, eyebright, mallow/marshmallow and mullein. Mix in a spoon of local honey if you can find it. Mother’s heart, pickpocket, witches’ pouches. The young leaves can be eaten raw in spring and cooked as the year and their bitterness progress. The tops of flower stalks can be snacked upon and put in stews (though rather stringy). As autumn arrives you can collect the heart shaped seeds and dry them over a few days in the sunshine (put them away somewhere dry at night or in rain). When powdered, the dried seeds can be sprinkled onto food for a bit of spice. Shepherd’s Purse works with the blood. 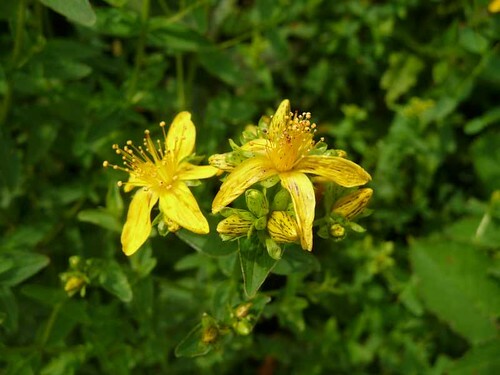 A strong infusion is used to slow and stop bleeding from a wound, and is a good anti-septic. As a leaf tea it constricts the blood vessels and controls high blood pressure in an emergency. Tea is taken as a tonic when feeling ill or when you need to stimulate your bowels (don’t drink regularly for more than one week). The plant’s seeds resemble kidneys and are said to help the kidney function. The name Pickpocket came from farmers claiming the plant ‘took the heart from their land’. You will find the plant growing in fields, on waysides and on any type of wasteland throughout Britain. At this time of year there are the skeletons of teasel plants gracing us with their silhouettes. We have been wondering what its uses are for quite a time. We recently found some of its story. Teasel is a good plant for walkers. It helps injuries to your joints and tendons. It eases muscle pain and inflammation, weakness of legs, knees and lower back. It is the root that is used. Crush it as an external poultice or make a weak decoction (brew). It strengthens the nerves and eases chronic fatigue. Taesan is the Anglo-Saxon name for ‘cleaning cloth’. Fuller’s Teasel is used to raise nap in freshly-made wool without breaking the cloth. The Bath of Venus is rainwater collecting in cups where the leaves surround the stem. This water is said to be a great cleanser, good as an eye wash, for beautiful skin and getting rid of warts. Rosebay Willowherb is an adaptable friend. Most parts of the plant are edible, medicinal and have other fantastic properties. In recent eastern adventures, Ed found it growing in abundance through Southern Siberia all the way to Mongolia. This is a good plant to know. Its not the best food, but being so abundant can be very useful. In the Springtime the young shoots and leaves can be eaten raw, and as they get older need to be steamed or boiled for 10 minutes. Treat the shoots like asparagus. The root can be cooked as a vegetable, added to stews. If you split the stem you can scrape out the sweet pith as a cucumber-like snack, though this can be quite astringent.. The flower stalks when in bud can be snacked upon raw and added to soups for flavour. Peel the roots, gently pound them and use as a poultice for skin damage such as burns, sores, swellings, boils and other similar hindrances. The leaves as a tea act as a tonic for the whole system, helping digestion and inflammation, but don’t drink too much because they’re also a laxative (unless you need loosening). The down was also used to stuff mattresses and mixed with cotton or fur to produce warm clothing. The pith when dried and powdered can be applied to hands and face for protection against the cold. The fibre from the outer stem is used as a cordage material. A very good source of nectar for bees. Bee keepers sometimes move to newly opened forestry land where the plant is quick to colonize. Margaret Baker warns that the Willowherb “will cause the death of the mother of any child who picks it”. So perhaps this is a plant for grown-ups to gather. Fireweed likes to grow on freshly cleared ground : woodland clearings, at the edge of the wood, waste places (including towns), scree slopes and rubbish tips (though best not to use plants from such places). Fireweed is tall, pink flowered with willow-like leaves. It does not normally grow alone.